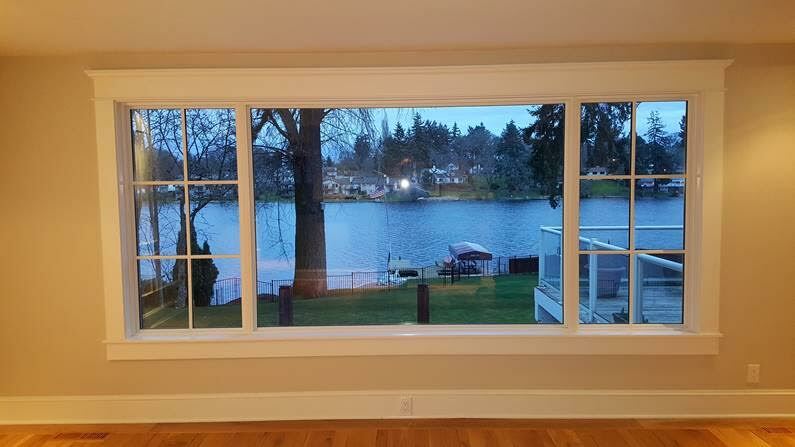 Do You Want Vinyl Replacement Windows and Doors For Your Home in Edmonds, WA? Are you searching for vinyl replacement windows and doors in Edmonds, WA? When you understand more about the benefits of these products, it becomes easy to see why so many homeowners choose vinyl for their windows. Here at Signature Window & Door Replacement, we want to be sure that you love the replacement windows that we install, so we will discuss your goals with you to see if vinyl windows are the right fit for what you need. You deserve to work with a windows contractor that you can trust, which is why you should be careful about the company that you hire. Here at Signature Window & Door Replacement, we know that you have many companies to choose from when you are ready to make a few upgrades on your home. Our team at Signature Window & Door Replacement has worked hard to build a strong reputation in Edmonds, WA and the nearby cities, and we want to show you why. We take an individualized approach with each customer that we work with, to ensure that the project turns out perfectly. Since customer service is our top priority, our customers are always happy about the way their vinyl replacement windows look when they are done. When you talk with our team, you will see that we truly care about the outcome of your home upgrades. We want to do what is best for your home, and help you save money at the same time. How Can Vinyl Replacement Windows Help You Save Money? Did you know that vinyl replacement windows can actually help you save money? Most homeowners are only focused on the money that will be spent initially for the home upgrades, and they forget to consider the long-term money savings that will be enjoyed. It is true that you will need to invest some money into the vinyl replacement windows for your Edmonds, WA home, but there are different financing options that you might consider. For example, some homeowners choose to use a home equity line of credit for their home improvement projects. Once these replacement windows and doors are installed, you will be able to start saving money right away by reducing those expensive utility bills. Here at Signature Window & Door Replacement, we are experts in energy efficient windows, and we can help you choose the right windows that will keep your home insulated and free of drafts. Old windows and doors make it hard to manage good energy efficiency, especially because they are often drafty and sometimes poorly insulated. By improving the energy efficiency of your Edmonds, WA home, you will find that your monthly utility bills will start to drop. As a result, you can start to recover the expenses that you spent to have the windows installed. These savings can be significant over time, especially if you choose other home upgrades that help with energy efficiency. When you have made the decision to have vinyl replacement windows and doors installed in your home, how do you decide the best way to get started with the project? The first step is to schedule a consultation with a trusted windows and doors contractor, such as Signature Window & Door Replacement. When you call our office, we will setup a time for one of our experienced employees to visit your home to see the windows that need to be replaced. This visit is essential so that we can make recommendations about the right products and services that will best meet your needs. If you aren’t ready to replace your windows and doors but you want more information so that you can prepare for these upgrades in the future, we invite you to call our office any time to ask questions and discuss your needs. We know that it can be helpful to have a trusted team by your side to help, which is why we are committed to helping you think through the details. As you are getting started with the vinyl replacement windows in your home, make sure that you take the time that is needed to consider your decision about colors, features, and size. These decisions can make a big difference in the way the windows turn out. Since the vinyl products last for so long, you need to be sure that you will be happy with the color and design for a while!